The main objective of Gullkistan is to provide a home and workspace for creative people of all professions in an international community in the sublime surroundings of south Iceland where they can work on their ideas and become a part of Icelandic culture locally and in a wider spectrum as each one of them prefers. Residents are encouraged to take part in mutual activities such as meals, travel, exhibitions and open studio events. Gullkistan seeks to promote an environment where people are surrounded with nature, and where residents have the possibility to be a part of that society by having exhibitions and to take the opportunities given to take part in local community activities on different occasions. Gullkistan expects residents to take good care of nature by preserving energy and sort waste. Gullkistan, just as the Icelandic culture, is open for all creative people, of any origin, gender and age. Gullkistan reaches out to children and young people in the community by providing opportunities for them to meet with the residents and learn about their background and their ideas and work and for residents to get to know them and their daily life. The Gullkistan residency was founded in spring 2009 and is now run all year round. The residents so far are mostly visual artists as well as writers, musicians, designers, photographers, filmmakers and scientists. Directors are Alda Sigurðardóttir artist and Jón Özur Snorrason Icelandic and litterature teacher. They assist residents as needed. 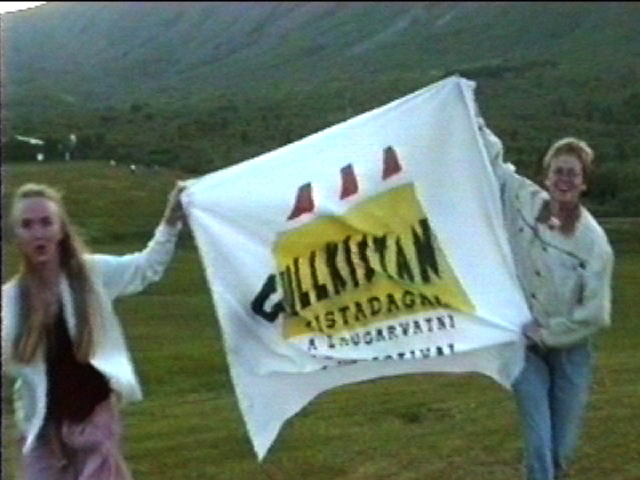 In 1995 Kristveig Halldórsdóttir and Alda Sigurðardóttir , then newly graduated from art school, planned the Gullkistan Art Festival in Laugarvatn. The interest it aroused was unbelievable. More than 130 people took part, visual artists, musicians, poets and writers, theater people, historians and other scholars of different kinds, and so on. 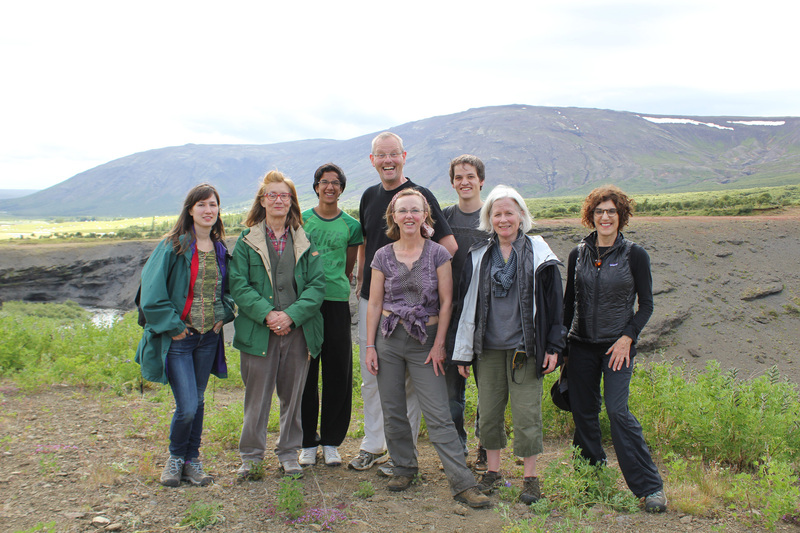 It was then evident that many people were eager to enjoy the special atmosphere of Laugarvatn for creative purposes. In 2005 they planned another festival, even bigger than before. This time the arts and the academic fields mixed even more and activities were of great variety. Both these festivals were centered in a school building that was built in 1929, Héraðsskólinn, but took place in many other buildings of the village and outdoors as well, even in a cross country hike around the lake as well as a climb up to the Gullkistan mountaintop. After the second festival Alda and Kristveig started to prepare an international residency for artists and academics of all fields in Laugarvatn so more people could discover and enjoy the magic there. In 2009 the first people arrived to work at the Gullkistan residency. From there it has grown step by step into a thriving community all year round. By the end of 2018 more than 400 residents have come to work at Gullkistan. In 2015 a big exhibition was held at the Árnessýsla Art Museum to celebrate the 20 year anniversary of the Gullkistan projects. Curated by Ben Valentine who chose artworks from participants in the two festivals and artists who had stayed at the Gullkistan residency from 2009. In january 2019 Kristveig handed Gullkistan over to Alda and her husband Jón Özur Snorrason who all this time was of course active on the side.